Anyway, if you’re after a midweek munch that looks pretty and is pretty quick and easy to make, you’ll want to get your mouth around this. 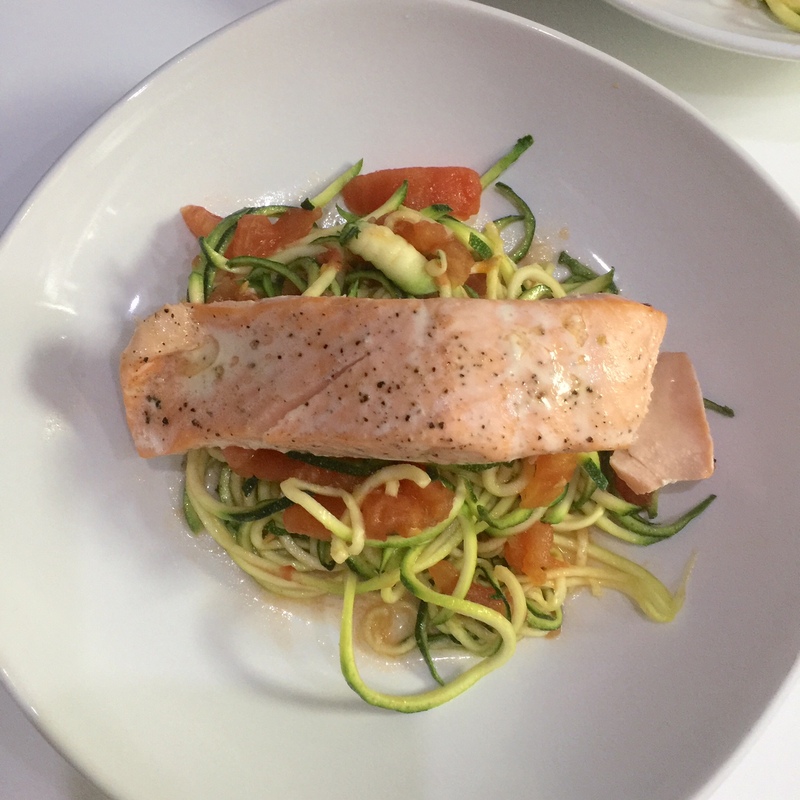 It’s got six ingredients: salmon, courgettes, tomatoes, basil, garlic and olive oil. And, despite being simple, it still feels a bit complex and sophis’. The dish really benefits from the use of a Sprializer. A contraption I got for my birthday in February and which I was too scared to get out of the box until recently. 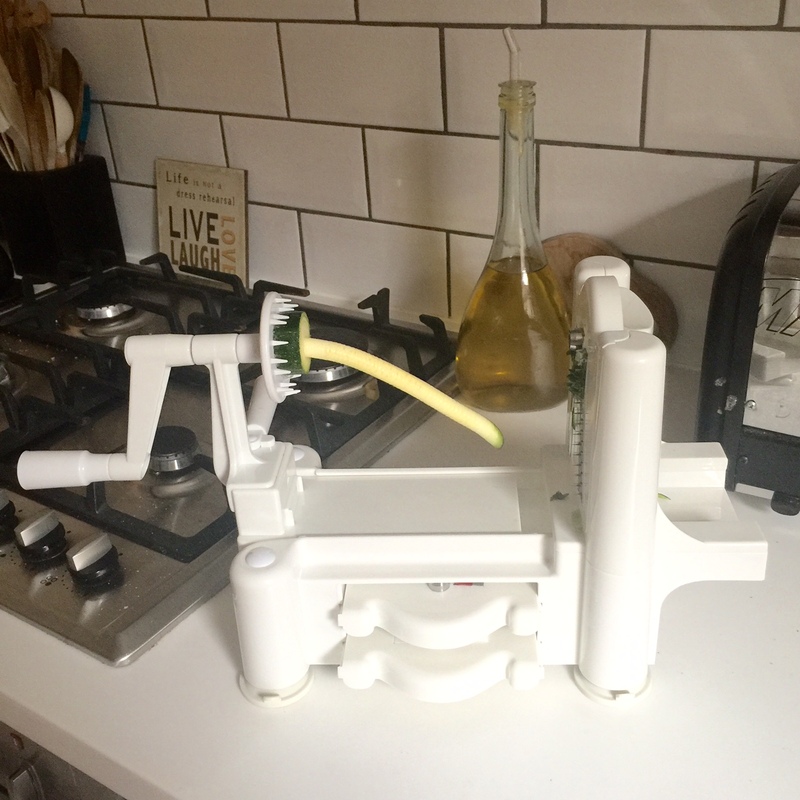 When I plucked up the courage, however, I discovered it was actually really bloody easy to use and now I can’t get enough of it. Yay. And it made lovely-looking veggies. Unless we’re talking about the bit that’s left over at the end of the er, spriralization process, let’s call it. Which you can see below. 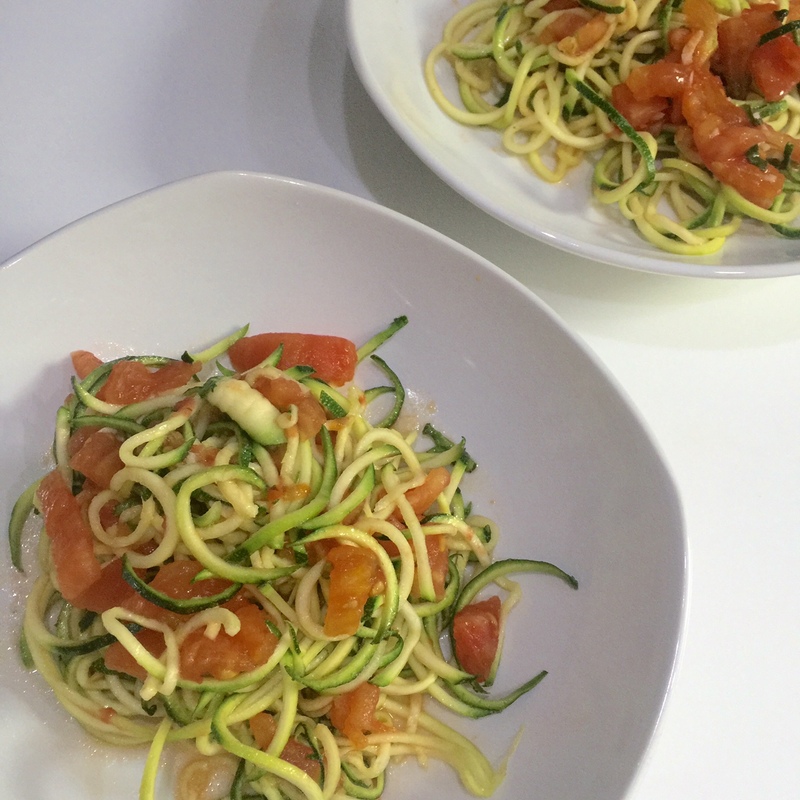 If you haven’t got a Spiralizer, don’t you worry at all. 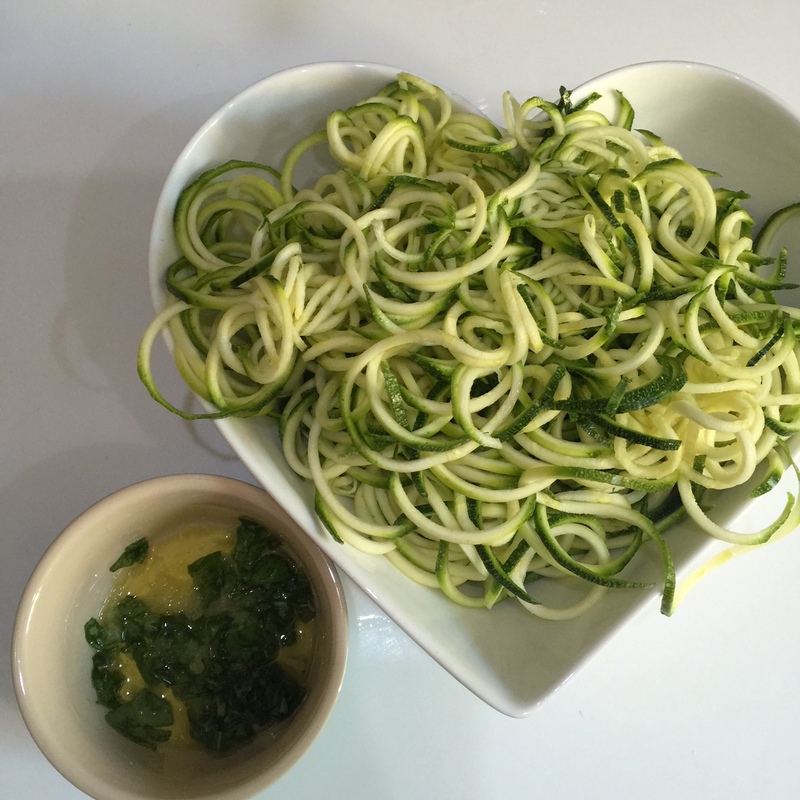 Just use a simple little julienne peeler to cut your courgettes into long, thin (un-curly) ribbons. 7. 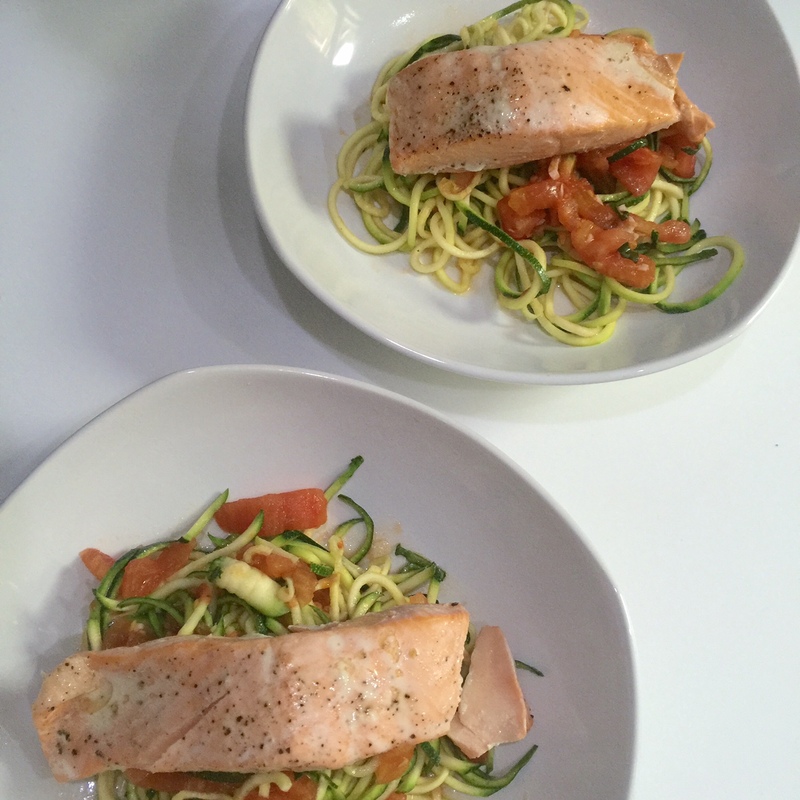 Now serve your tomato and zoodle mix in 4 deeps bowls, pop your cooked salmon on top, season – et voila!